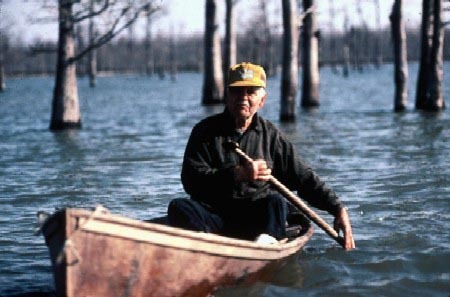 Do you think that people in Louisiana ride around the bayou rowing around from one place to another on their pirogue (pronounced PEE-row or PEE-rawg depending on what Parish you're in)? When you meet someone from Louisiana do you immediately ask them if they know "Troy" from Swamp People? Well here's a surprise....many of the stereotypes you have about people from Louisiana are totally inaccurate. However, many of the stereotypes are exactly on point - like a proclivity for impromptu crawfish boils, a cold (recovery) beer, Mardi Gras, genuine Southern hospitality, and loving to have a good time in general. I’m from Lake Charles, in Southwest Louisiana. 2. How did you get involved in triathlon? I got involved in triathlon/multisport when I was 11 or 12. My dad was a long time marathoner who started branching out in to adventure racing. He started training for the Eco-Challenge, a multi-day “expedition length” adventure race, and that kind of defined our whole home environment for a few years. So running, biking, swimming, kayaking, horse-back riding, climbing, camping etc. was just a huge part of my life growing up and that translated in to a love and passion for triathlon. 3. When was your first race? I did my first duathlon when I was in 8th grade. I won my age group because I was the youngest person there. There literally wasn’t anyone in my age group. I showed up at school the next day with my bib numbers written in sharpie on my legs and arms and I thought I was so cool haha. I think I did my first triathlon a few months later. 4. Do you have any races coming up? Actually no, and that’s kind of odd for me. I’ve been training non stop for one thing or another for a few years now, and I’m kind of enjoying just training for the sake of training but not training for anything specifically. I went through a spell last year when I started hating what I was doing. Training had become a chore rather than something I enjoyed. So after I finished Ironman Los Cabos in Oct/Nov I promised myself (and my wife) that I’d take some time off to work on enjoying the sport again. I’ll be volunteering at Ironman Texas and volunteering at Ironman Gulf Coast 70.3 and a few other races. Volunteering is something I highly recommend to anyone in any endurance sport. I feel like you can’t really appreciate the sport until you’ve seen and participated in every side of it. 5. Do you have any specific goals for the next year? Yeah, I’d really like to nail down my nutrition and build some strength. Nutrition is something I’ve always struggled with. We have a lot of really good food in Louisiana and it’s tough to go out and hammer a 70 mile bike ride and then choose the salad and tea over the gumbo and a cold beer. So I’ll be focusing on dialing in my meal prep, working on my macro’s, and I’m going to pick up a weight or two and try and gain some power and strength. I was thinking about maybe doing some power lifting and entering a power lifting competition. Just something crazy and new. 6. Tell us about The Partnership For A Healthier Southwest Louisiana. How did you get involved? So Healthier SWLA is a non-profit coalition of 170 organizations, businesses and governments whose mission is to come together to get people to move more, eat better and stop smoking in our corner of Louisiana. Louisiana is the most obese state in the country with some of the worst health outcomes, so we’re really on the front line of the worst of the worst. I got involved because I was race directing for a few years and helping to promote healthy lifestyle things in the area and when the Coalition Coordinator position opened up at Healthier SWLA I jumped on it. It’s my dream job. 7. What are some of the specific projects you work on? Right now we’re focused on fighting the social determinants of health. Obesity, heart disease, high blood pressure, those are all the symptoms. The disease is poverty, education, infrastructure design and weak food systems. So our programs are working to implement policy and environmental system changes by doing things that help advocate for and build pedestrian and bicycle lanes, build food hubs and community gardens, giving schools the tools they need to provide and emphasize healthy lunches, and pull people out of poverty. Our two main jams right now are advocating for Complete Streets policies and building a major food hub. A Complete Streets Policy is a policy passed by municipalities that states that any infrastructure improvement done in that municipality has to include bicycle and pedestrian infrastructure as well as public transportation, freight and regular traffic. It shifts thinking about transportation planning to moving people and not moving cars. A Food Hub is a large community garden that will help provide healthy, fresh, affordable foods to people who otherwise wouldn’t have access to them and will also act as an education center where we can host field trips and teach kids where food comes from, and host workshops to teach other growers how to be successful and find a market for their local and urban grown foods. 8. You’re an ambassador for Garneau and Nuun. Is there a particular Garneau product that’s your favorite? What’s your favorite flavor of Nuun tabs? I’m obsessed with the Tangerine Lime Nuun. I’m drinking it right now. I love the B vitamins in it. My favorite piece of Garneau gear is probably my P-09 Aero Helmet. It has built in vent ports that keep you cool when you ride, unlike other aero helmets I’ve worn, and the engineering that went in to it is just insane. It’s one of the most aero pieces of equipment I’ve ever worn. They also just came out with some awesome new colors for it. The “Splash” color combo is badass. 9. In your opinion are there many bike friendly routes in Southwest Louisiana? Are you aware of any local initiatives or laws to make a push for safer riding conditions? Southwest Louisiana is an amazing place for cycling. Do we have some problems in the urban areas? Yes. And we’re working on those at Healthier SWLA on a policy and design level. But the rural areas are absolutely beautiful for cycling. I love riding down south through Cameron Parish via the CreoleNature Trail. They call it Louisiana’s outback. On a 30 minute ride you can see hundreds of species of birds, alligators, deer, nutria, wild flowers, and coastal prairie. It’s just amazing. I highly suggest coming down and visiting!